My brother liked cars. He was 12 years older than me, so I got to watch him make some very interesting modifications when I was a little kid. The first one I remember is a Ford Model T (I don’t know the year). Ford made the Model T from 1908-1927, but didn’t introduce hydraulic brakes until 1939. Pressing the brake pedal on a Model T tightened a metal band around a braking drum in the transmission. Therefore, it only affected the rear wheels. In dicey weather, it was best to use the emergency brake lever. Not wishing to crash his precious Model T, Jim replaced the brake system with hydraulic brakes. I don’t remember exactly when this happened, but it was somewhere between 1948 and 1956. I remember this because Jimmy then got a 1954 Chevy and replaced the V6 engine with a V8 from a 1956 Chevy. Chevy didn’t introduce the small-block V8 engine until 1955, so the V8 engine really souped up that ’54 Chevy! From then on, he was a Chevy man all the way. When he worked on the Chevy upgrade, he had to rebuild the carburetor, an extremely delicate task. Carburetors have millions of tiny parts. You have to take it apart carefully, laying out the parts in precise order, then put them back in the exact reverse order. I was threatened with an early demise, should I touch any of those parts. I used to tease him by looking at them very closely–never touching, though! Carburetors have since been replaced by fuel injection systems. Jim used to joke that FORD was really an acronym for either “Found On Road, Dead” or “Fix Or Repair Daily.” The images in this post were taken at a junkyard, so I decided on the former for a title. I went with my friend Jan, who loves the place for the sorts of images one can find there. She is drawn to the Brockway described below, but her true love is an old International truck, used by a radio and television repair company. Yes, they really did repair radios and TVs, back in the days of vacuum tubes. Here I’m only posting straight forward images; later I’ll have a post with some abstract images of vehicle parts. One vehicle met us near the entrance, an old Brockway truck, owned by a truck sign painter. Brockway began as a carriage maker, but officially incorporated in 1912 as the Brockway Motor Truck Company of Cortland, NY. Never mass-produced, their trucks were renowned for strength and durability. They stopped manufacturing them in 1977, but the one we saw was definitely an earlier version. 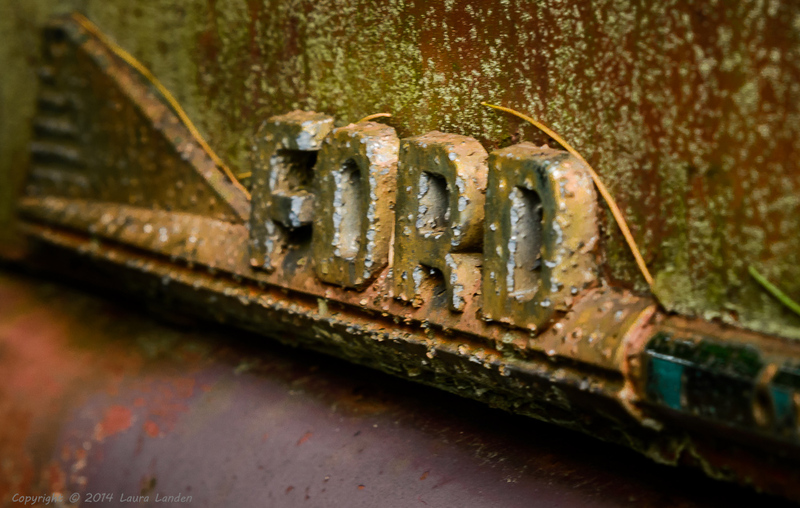 One thing’s for certain–they don’t make trucks like this one any more! 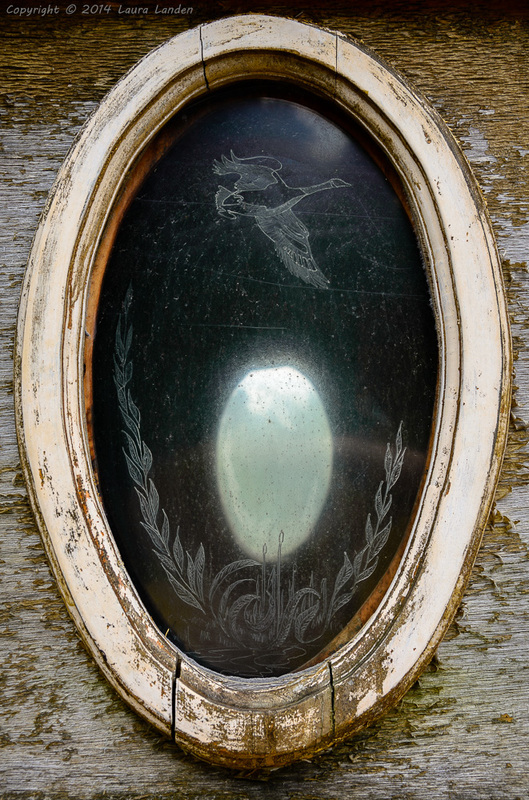 It has wooden side panels and beautiful etched windows. It must have turned heads in its prime, for it still is a looker, given its current environment. We saw Fords, Chevys, VW beetles and vans, old delivery trucks, and even an Edsel. Edsels are so long forgotten that even my spell checker doesn’t recognize the word! Many memories came back when I ran into a blue VW beetle. I had a car like that when I was in college. I took three riders to school every day, at $10 a head per week. That covered gas and repairs. It was a fine car, nothing like the contemporary version now on the road. The original had a 4-cylinder, rear, air-cooled engine. No radiator to worry about. If you had level ground, it could go 45 mph. Best of all, if you got up a good head of steam and were going downhill, you could make 60! I don’t know what happened to my car, but I’m pretty sure it’s not the one in the image, as I sold it in Ohio many, many years ago. One of my riders was named Terry. These were the days of the military draft, given we were in the Vietnam War, and Terry got a notice from the Draft Board. She called, protesting that she was not subject to the draft, being a female. Her word wasn’t enough, though; she had to physically appear at the Draft Board before they were convinced. 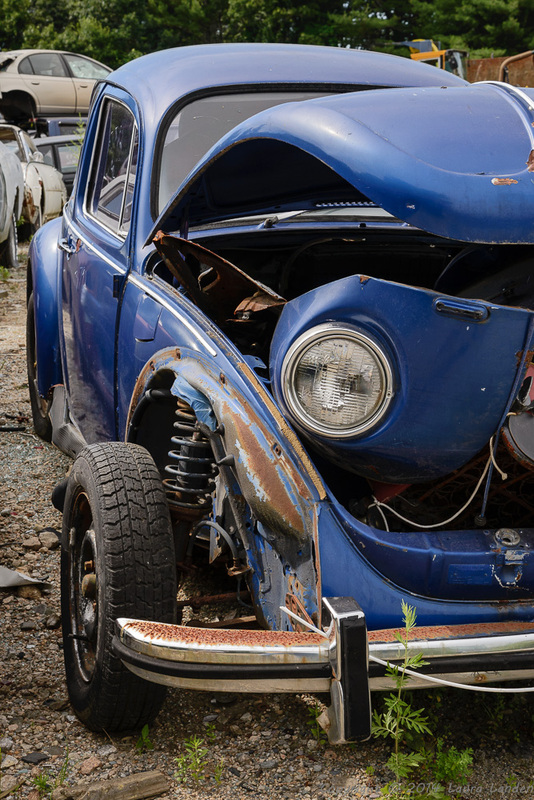 Enjoy this trip to the junk yard!